Dr. Harper has been a practicing board certified Urologist since 1983 and has his own private medical practice, Urology Center of Columbus, LLC, which treats both adult and pediatric urology. He is actively involved in clinical research and is a Certified Clinical Principle Investigator. He was born and raised in Americus, Georgia and graduated from the Medical College of Georgia in 1978. He finished his internship and residency in surgery and urology in 1983. Dr. Harper is the immediate Past-President of the Muscogee County Medical Society and the Past President of the Muscogee County Physicians Foundation. Dr. Harper received the Muscogee County Physician of the Year Award in 2000 for his community leadership and as Chairman in providing Columbus and the State of Georgia with the First Annual Men’s Health & Fitness Conference and Expo in June 2000. On January 18, 2001, Dr. Harper was appointed by Governor Roy E. Barnes to the Georgia Commission on Men’s Health, which is the First Commission on Men’s Health in the Nation. On March 27, 2001, Dr. Harper was elected Chairman of the Commission on Men’s Health. It is recognized that the life expectancy gap has grown significantly between men and women. Dr. Harper is an advocate for men’s health issues and as Past Chairman of the Georgia Commission on Men’s Health, he and his colleagues are working on initiatives to provide learning opportunities for men focused on health maintenance, disease prevention and early detection for the state to address this widening gap. The aggressive screening of patients is a very important component in identifying and diagnosing healthcare issues in general and is a critical focus point for the Commission. 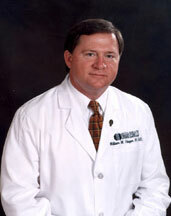 He holds membership with the American Urological Association, the Medical Association of Georgia, the Southeastern American Urological Association, and the Chattahoochee Valley Urological Society (Past President). He is also a member of the Rotary Club of Columbus.